Twizzler passed away about a half hour ago. 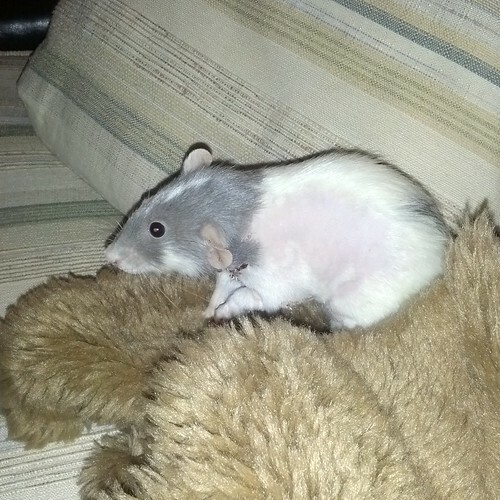 She was our pet rat, the last of four that I’ve had. They are such pure, sweet little souls…so full of personality. They are wonderful pets, except for the fact that they have short lives. Twizzler was about 3-1/4 years old, which is pretty ancient for a rat. Her sister, Tofu, died almost exactly a year ago, so Twizzler’s been on her own since then. We will miss them both very much. I may have pet rats again, but for now, we’ve got a house full of cats and a black Lab, so I think we’re good to go on the animal front for the time being. I treasure my memories of all of them, though. I’m still uploading photos of both of them to Flickr; I’ll be able to post more soon.